In the series’ third chapter, Pictures Come to Life, Werner Nekes shows that the need to create illusions of movement appeared as soon as people took an interest in reconstructing realistic perspective. The magic lantern for example, invented in the 17th century, allowed for the projection of pictures, painted on glass slides, onto a screen. 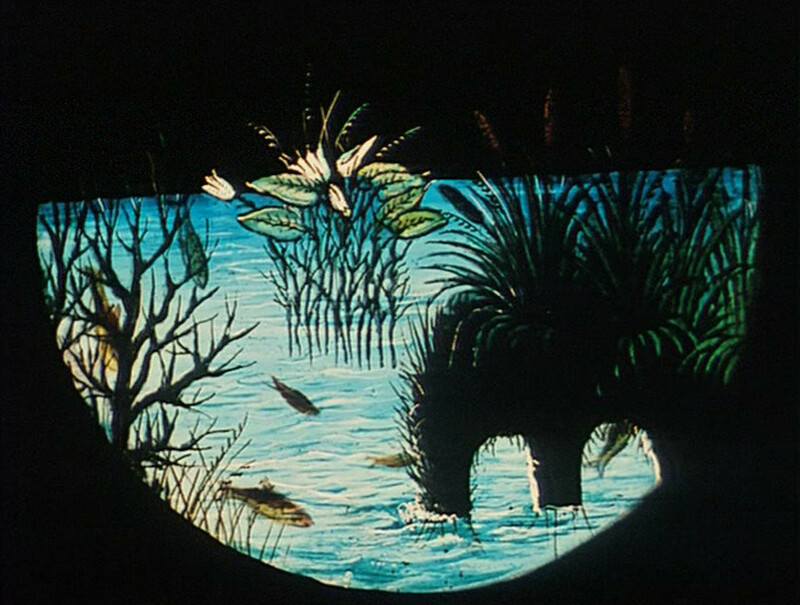 Beginning with Athanasius Kircher’s magic lantern, Nekes also traces the history of paper animation techniques, including motion postcards and book illustrations, as well as peep shows, panoramas and kinetic toys.